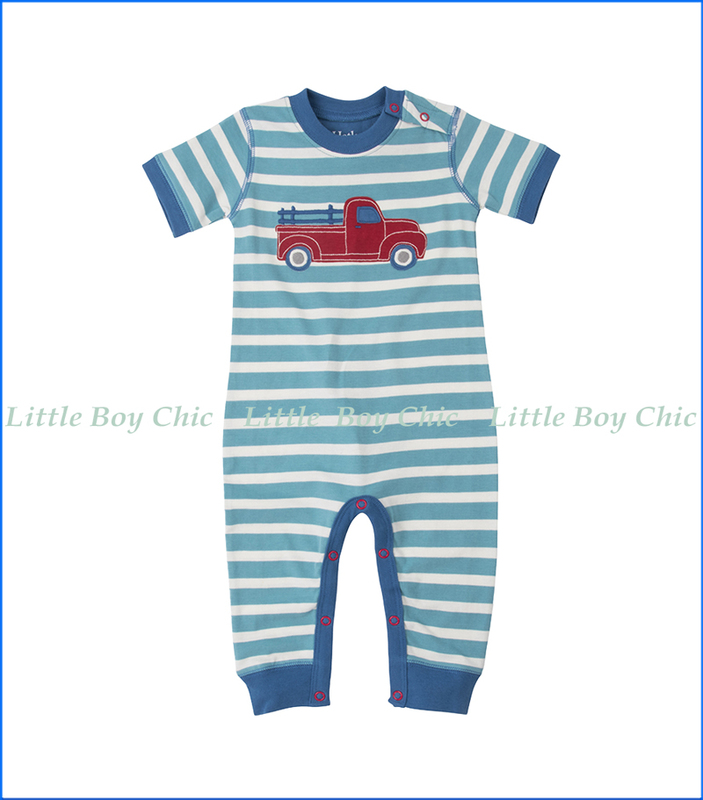 This short sleeve (S/S) striped one piece romper helps him feel like a part of the loading crew. Dual blend fabric for soft hand feel. Snap shoulder and leg closure for easy dressing. Contrast ringer neck and sleeves. Ribbed elastic cuffs. Not intended as sleepwear.